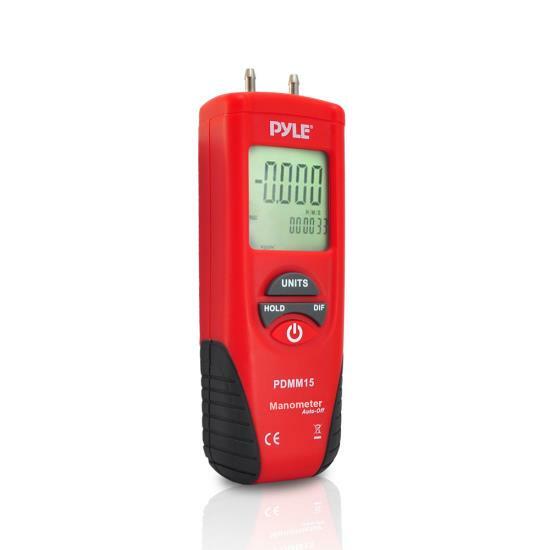 The PDMM15 is a digital manometer, used for measuring pressure. Get accurate measurements every single time. Select from up to 11 different measuring units to get what you need. This unit can measure both gauge and differential pressure. It has a dual LCD with backlight, so it works great even in poor lighting conditions. Maximum pressure: 150 PSI. A soft carrying pouch and flexible tubing are included. A 9 V battery is included.